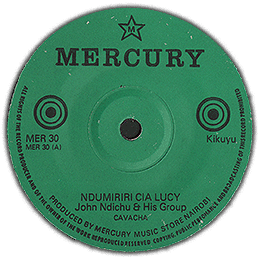 Quite possibly a hit tune by prominent Mercury artist Johnn Ndichu. Check audio clip of both sides. 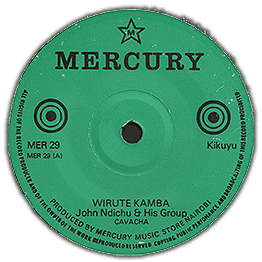 I love John Ndichu and it’s a shame that there’s no biography about him, he’s a kikuyu legend and should be treated as such.Rest in peace. 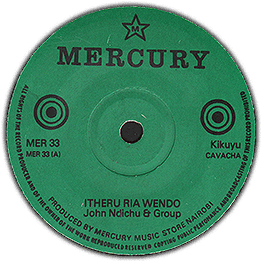 Love John Ndichu’s remix songs but I have never known who did the one man version.I hear people say the audio remix was done by Salim Junior while the video was done by mighty Salim.I don’t note the difference since they both sound similar and look alike.Make me understand please.Anyway nice songs……. 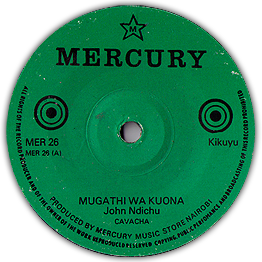 Am eddy gichira.i am in the process of writting a biography of forgotten kikuyu musicians. 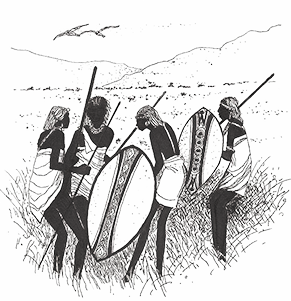 Currently am collecting any valuable information.